Facebook CEO Mark Zuckerberg says he regrets his work was used "to divide people rather than bring us together"
The ads appeared to be linked to a Russian entity known as the Internet Research Agency, and violated Facebook policies because they came from inauthentic accounts, according to Kaplan. 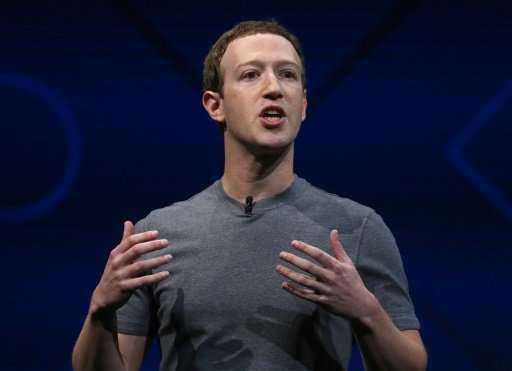 Facebook chief executive Mark Zuckerberg last month announced a crackdown on efforts to use the leading social network to meddle with elections. Facebook vice president of communications Elliot Schrage on Monday posted answers to "hard questions" prompted by the Russia ads. The social network estimated that 10 million people in the US saw the ads, some 44 percent of those views happening before the November election and the rest afterward. Many of the ads did not violate Facebook rules regarding banned content, but instead broke a policy barring accounts from hiding who is really running them, according to the social network. "That means that for most of (the ads), if they had been run by authentic individuals, anywhere, they could have remained on the platform," Schrage said. "This is an issue we have debated a great deal." Facebook has become an important platform for debate on political and social issues, and faces the challenge of protecting free speech while guarding against malicious interference in elections. "We are dedicated to being an open platform for all ideas - and that may sometimes mean allowing people to express views we - or others - find objectionable," Schrage said. "This has been the longstanding challenge for all democracies: how to foster honest and authentic political speech while protecting civic discourse from manipulation and abuse."